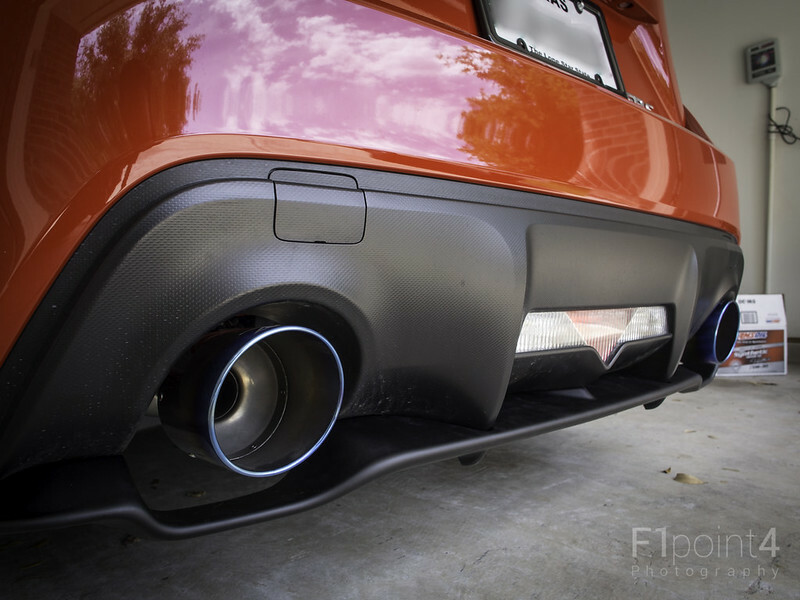 @F1point4 has a Perrin resonated catback exhaust with a Borla header. I just installed this system last week and it is amazing.. perfect amount of sound and performance! Yes titanium is silver but titanium tipped exhausts always have a blue hue on them. Sometimes its even borderline light purple but these are just blue. They can be taken off via a metal polish and can be added back by using a blow torch - which is how you can sort of customize how much or how little you want the color on the exhaust. Do they turn blue from the heat of your exhaust? Are they sent out silver and turn blue? Does the manufacturer color them blue for you? Sorry, I have no idea why someone with a red car would want a blue exhaust tip. It looks so out of place and the colors clash quite a bit. I could see silver, black, or even gold, but blue seems just too harsh a contrast. The manufacturer colors them blue. This is quite standard. Its also a preference thing...some people like it and others don't. question...will those Blue paint come off after couple years???? or it will stay permanently? They don't come off easily, as these are NOT painted on. Oh, ok. Sorry this blue phenomena is very strange to me. No disrespect meant, just seems so weird. Was there a car somewhere that turned its exhaust blue with heat and this fad caught on? I need a wiki page on this or something.